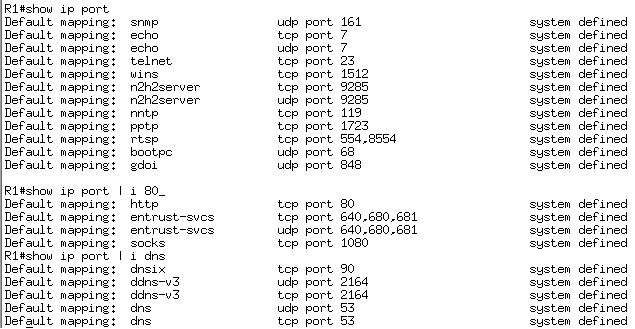 stored on flash on Cisco devices. the running-configuration but we do not save them. Then the show archive command is used to show what’s different between the two versions. running-configuration but not in startup-configuration. It is also possible to compare a file stored in NVRAM to the running-configuration. could be used for such things as editing an ACL by uploading a file to the device. Then do a diff between the files to see what is changing in the ACL. Just did this lab earlier today and wanted to post some stuff that might help people. 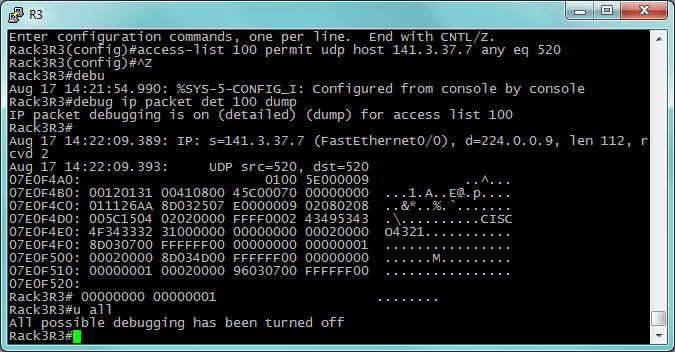 I’ve posted earlier on how to quickly find out IP-addresses and masks with different commands. I played around a little more today and this is another one that works nicely. And then we have an OSPF command that I don’t use often enough. This commands shows the cost to reach the ABRs/ASBRs. This cost can be calculated manually but this way is faster for sure. Sometimes we have a need for debugging and Cisco has a lot of options for debugging, this is one of the things why I definately prefer Cisco to HP or other network vendors. I did some vol2 labbing yesterday and had a need to debug OSPF packets to verify that an adjacency was being form over unicast and not multicast. Sounds easy but when running labs with many neighbors there can be a lot of packets flowing and we might miss some important information when debugging. If we are debugging IP packets we can specify an ACL to narrow down the selection but I am not aware of such an option when debugging routing protocols, at least not for the IGP’s. What I found out is that there is an option for settings conditions on what to debug. This is how we do it. So we have some different options we can used, the two most obvious are ip and interface. I will show how to debug OSPF packets coming in or out a specific interface, this will narrow down traffic a lot if we have multiple neighbors. Only traffic coming in or out Serial 0/1 will be debugged. Use show debug condition to see what conditions has been set. The direct URL is here. This shows that the port is gigabit capable (gigabitethernet kind of gives that away) but it shows that speed can be set to 10, 100 or 1000. Some gigabit ports are fixed speed. It has support for both 802.1Q and ISL, Ciscos proprietary trunking method. The port supports storm-control, it supports rewriting CoS and ToS headers, we have four egress queues for QoS with three thresholds and two of them are configurable. We can use SPAN and the port can be a source or a destination. We also have support for 802.1X. So this command gives us a brief and concise output of all features the interface supports. I will post some other useful commands later on as well.